This is a very practical product that works well on almost any seat of a car. It has earned our “Editor’s Pick” star, which we offer to a very limited selection of only the best chair or seat cover products. Some of our other Editor’s Picks include the SmartSeat Chair Protector and the Kiddopotamus Elite Duomat 2 in 1 Car Seat. One Step Ahead’s Car Seat Protector for Upholstery protects a car’s seats from creases and dents that can be created by the bottom and backside of child’s car seat when pressed firmly into a car’s seat over long periods of time. It can be used with a wide range of child seats, from infant car seats to toddler booster seats. This protector also offers some protection from spills and stains from food that your kids might eat while sitting in their car seats. What do we like in particular about this seat protector? 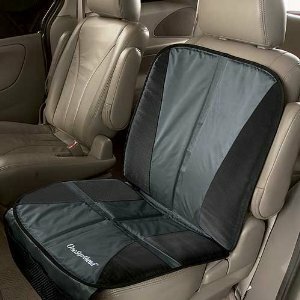 Although many kinds of car seat protectors are made to be installed underneath a child’s car seat, this version made by One Step Ahead is very well made with strong seams and stitching, waterproof material, and thick enough internal padding to resist the extreme compression of a properly installed child’s seat. The underside of the protector is also lined with a special material that offers grip to prevent the protector from slipping, without sticking to your car’s upholstery. The seat portion of the protector is long enough for most middle or back row seats in cars, and the back portion of the protector is wide and tall enough to accommodate most child car seats that could be installed on top of it. We also like the small pockets made from a black mesh material that drape from the bottom of the protector. These are handy for holding small toys or rattles, as well as items that kids will be taking on and off when getting in and out of the car, like sunglasses or mittens in the winter. How do you install this car seat protector? Installation is easy – you simply place the seat protector on your car’s seat, making sure to take a short flap that extends from the back of the lower portion of the protector and tuck it into the intersection of your car’s seat back and seat cushion. 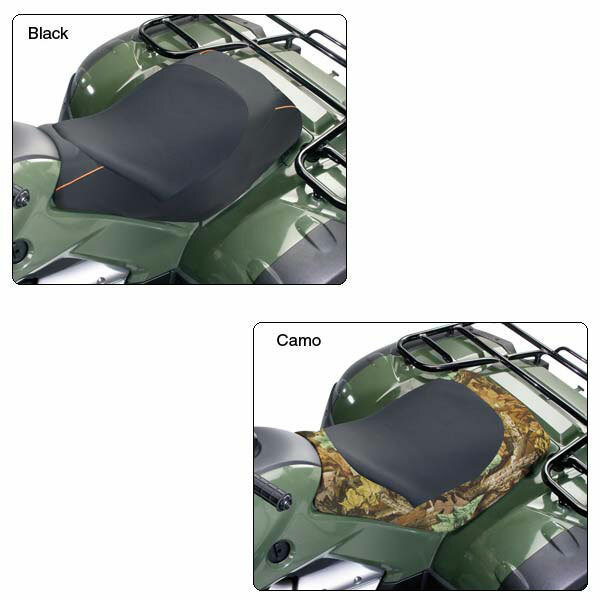 This flap helps hold the protector in place and prevents it from slipping side to side. Then, you install your child’s car seat on top of the protector.